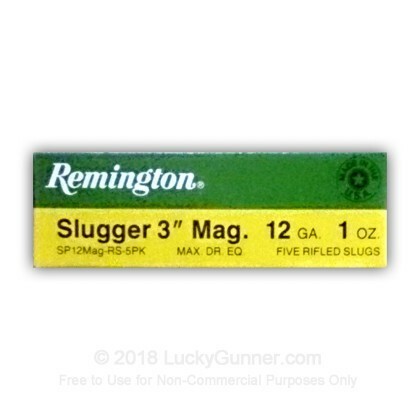 Remington's Magnum Slugger series are designed to fly 25% flatter than normal slugs at a speed of 1760 fps muzzle velocity. Don't get caught staring at the buck of a lifetime on your next hunt with inferior shells chambered in your firearm. Pick up a box of these 3" 1 oz slugs and have your name written in the big game record books! Remington loads its legendary shot shells in Lonoke Arkansas and has been manufacturing quality ammunition for sportsmen of every kind since 1912.